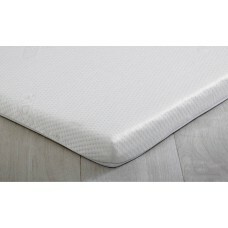 A mattress topper acts as an additional level of comfort and support for a mattress. Most modern mattress toppers are made from memory foam which is a heat sensitive material that moulds to the shape of the body as is warms up. A mattress topper can vary in depth, but most are usually between 3cm and 7cm deep. A topper is usually first used once the mattress is too uncomfortable to sleep on. The right mattress topper can make a firm bed feel softer to sleep on or alternatively a soft bed feel firmer to sleep on. 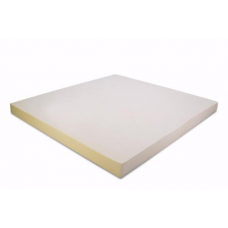 Mattress toppers come in all popular sizes including 2ft 6in Small Single, 3ft Single, 4ft Small Double, 4ft 6in Double, 5ft King and 6ft Super King. A memory foam mattress topper is the perfect solution if your old mattress is starting to wear out, ..